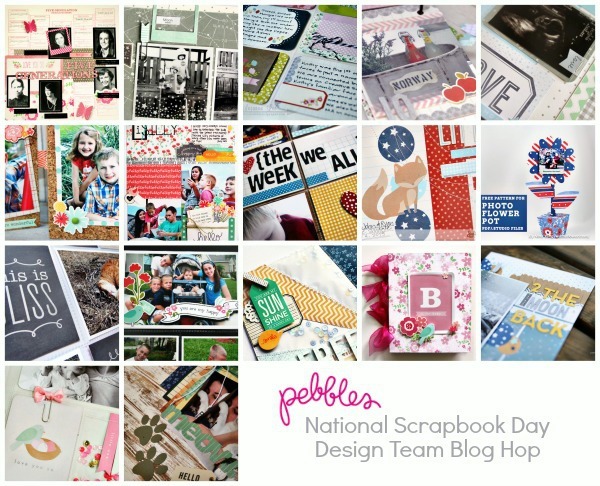 Happy National Scrapbook Day!! I'm super excited to be participating in the Pebbles DT Blog Hop today! Visit each Design Team member's website, and leave a comment. 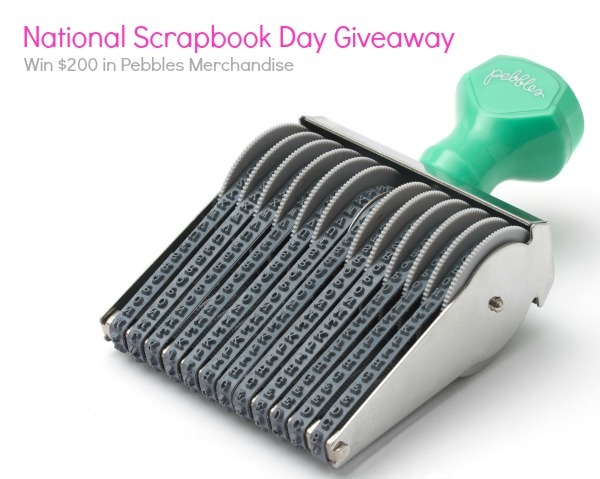 Once you have finished, visit Pebbles, and enter to win $200 in Pebbles products so that you can get creating on your own! So - on to my project. I'm guessing most people hopping on by aren't aware of the dismal status of my Proect Life. ;) This, my friends, is week FOUR - we're still talking January! But, I'm slowly and surely trucking along. My Project Life pages are very clean and simple. I often pick a color scheme for the week and then just choose a bunch of paper and embellishments that include my chosen colors. Pebbles products are great for Project Life because their papers often feature fun small-scale patterns on the B-sides and their embellishments are often easy to mix and match with! I couldn't even tell you how many different lines I worked with in this Project Life spread. Okay, yes - I could - there are some oldies, but ggodies in there: Basics, Yours Truly, Lakeside, Family Ties, Front Porch, Seen & Noted, From Me to You, and Love You More. For those counting, that is EIGHT different lines. The one non-Pebbles product I used was my favorite Martha Stewart labels.